Okay, it is that time of year again. You know. The one where the kids are all excited for candy and dressing up. My students seem to be in a permanent state of sugar-high excitement during the next few weeks. I actually like using this excitement over a “spooky” day to encourage my students to get excited about writing. I’m not talking about just any writing, but the kind of writing that builds suspense and makes the reader WANT to read more. Put the setting of the story in a dangerous place or a place that evokes the emotion of fear in most people (dark alley, haunted house, an abandoned building, or a musty cave). 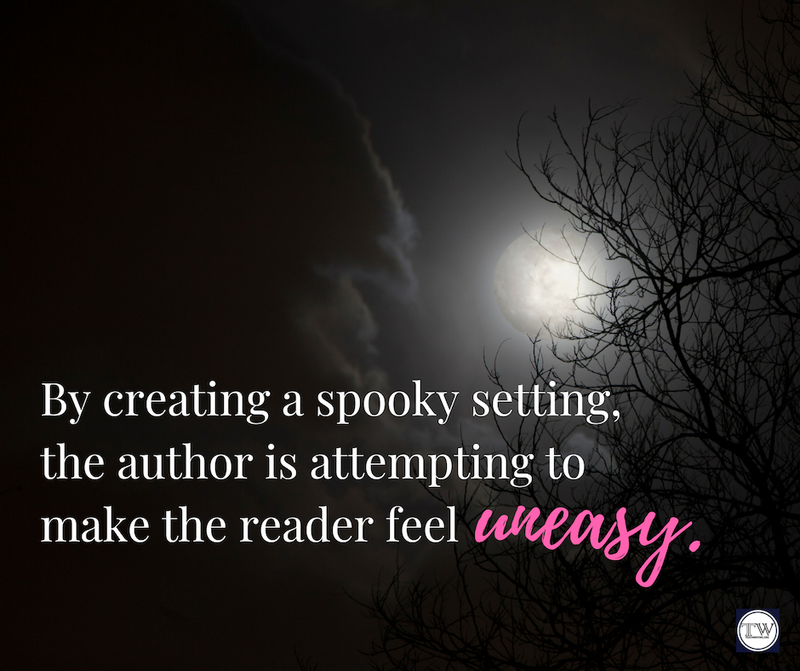 By creating a spooky setting, the author is attempting to make the reader feel uneasy. Use lots of descriptive language including eerie adjectives, and vivid verbs. What are some words to describe their setting? Use a thesaurus to write down adjectives that will continue to add uneasiness to your reader. I didn’t want to go into the woods this late in the evening, but I needed to take the dangerous shortcut if I wanted to be home on time. It usually wasn’t this dark so early, but the thick clouds hid the evening moon and cast dark shadows on the gloomy forest floor. A strange, uneasy feeling sent shivers down my spine, but I pushed the fearful thought out of my head as I wandered deeper into the thick trees. Create mystery by having some “unknown thing” in your story. Refer to the “unknown” a minimum of three times before giving away what it is. For instance, don’t just tell your audience that you see a monster. Instead, keep your reader in suspense about the monster by describing a sound you hear, a weird feeling you have, or shadow you see, etc. 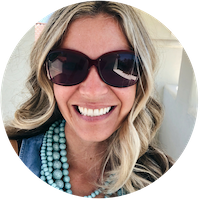 Stretch out the mystery by giving your reader at least three hints “something is there” before you actually come face-to-face with the “unknown” thing. Have students brainstorm 3 ways they want to sense their “unknown thing” and how they react/respond. This might be seeing a shadow, hearing a noise, seeing a light, having a weird feeling, etc. They can use the same one twice (maybe they hear a sound twice). Suddenly, the sound of twigs snapping behind me made me jump. I looked over my shoulder but saw nothing but darkness. As I continued walking, I caught a glimpse of a shadow pass by my feet and dared to look again. Darkness. I quickened my pace but stopped when I heard the same snapping sound only louder and more urgent. This time I turned around slowly with my heart pounding in my chest. When I saw it, I tried to let out a scream, but no sound escaped my lips. Suddenly, (1. Sound) the sound of twigs snapping behind me made me jump. I looked over my shoulder but saw nothing but darkness. As I continued walking, (2. Shadow) I caught a glimpse of a shadow pass by my feet and dared to look again. Darkness. I quickened my pace but (3. Sound) stopped when I heard the same snapping sound only louder and more urgent. This time I turned around slowly with my heart pounding in my chest. When I saw it, I tried to let out a scream, but no sound escaped my lips. 3. Keep it a Secret...Shh! I froze as I watched it emerge from the dark bushes. It’s brown and green skin was dry, almost scaly. Dark red eyes glowed within their deep sockets, which sent a chill down my spine. Its body was twisted and coiled and it appeared to slither like a snake. I tried to run, but I felt frozen in my tracks. Soon the monster would be at my feet! Oh my goodness, I hope you enjoy writing spooky stories with your class as much as I do! Wait until you see what kind of writing your kids create! 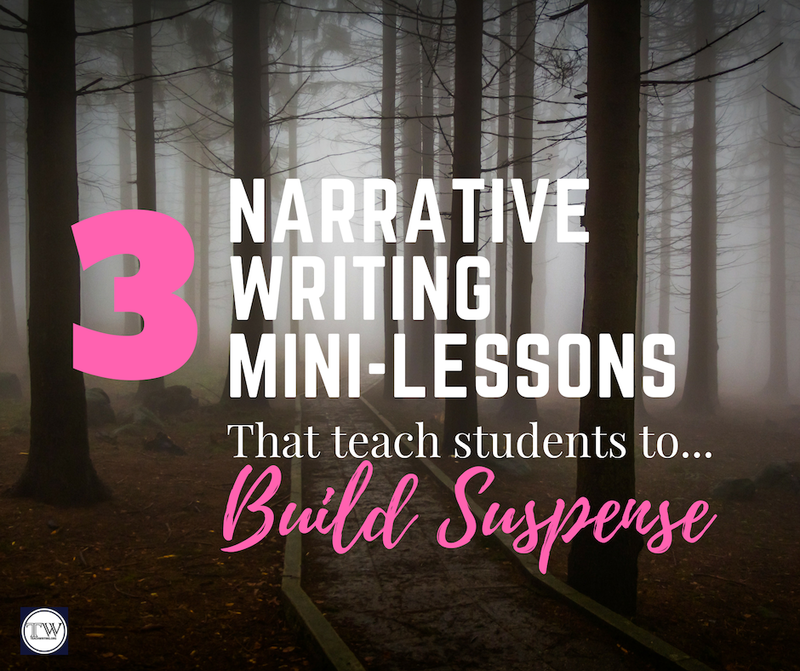 If you try these lessons and your students write some super spooky stuff, I’d love for you to share it in the comments! I hope you are having a wonderful start to your year and are having fun with writing instruction!